Densifier/Hardeners which crystallize minerals in the substrate just below the surface. 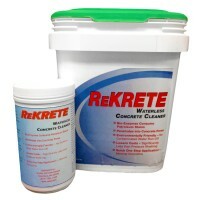 This strengthens the surface, blocks surface moisture intrusion, blocks subterranean moisture intrusion, and keeps stains topical and controls dust. This helps protect surfaces from damage from pallets and forklifts and makes cleaning and maintenance far easier compared to bare concrete. 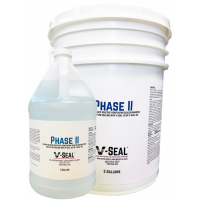 These sealers can be sprayed-on or mopped-on which results in a nearly invisible flat appearance, scrubbed-in with a floor scrubber which results in a light sheen, or burnished in which can develop the bright sheen associated with many big box retail floors. 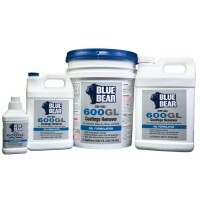 These sealers have almost no effect upon traction and are basically maintenance-free for the life of the floor. 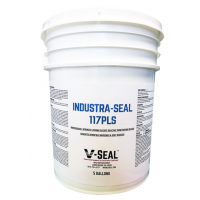 These types of sealers are also typically used to protect walls, driveways, ramps, sidewalks and parking lots. 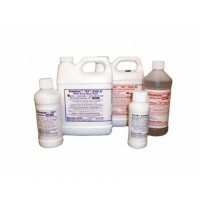 These sealers are generally receptive to paint, epoxy, carpet, and mastics used for tile and laminate flooring. 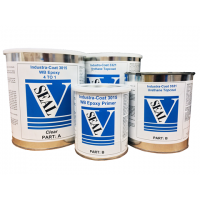 Topical Sealers which form a membrane layer over the substrate surface adding protection from moisture stains, chemicals, grease, gas, oils, and adding decorative elements such as high shine or color. 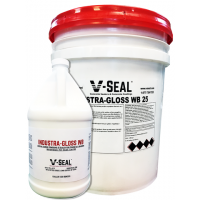 It is not uncommon to utilize a combination approach utilizing a Penetrating Densifier/Hardeners to gain maximum strength and block subterranean moisture intrusion and Topical Sealers for high performance and decorative appeal. 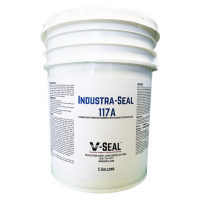 Industra-Seal 117: Smooth trowel floors that will be polished. 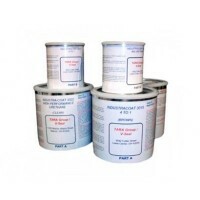 V-SEAL 101® Multi-Surface: Standard finish floors and porous walls, and walls that are to be painted. 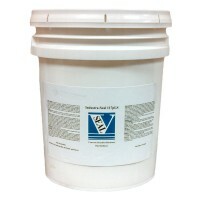 V-STOP WB-HD®: Siloxane water repellent for walls.